- Will run on Windows XP, but it really prefers Windows 7/8. - New version 1.8.2.53 has been released to this page. - Restored an otherwise deprecated netcat module to support a fallback option for TV?s not supporting true Telnet. - Added optional output of debug-codes to log, to facilitate very precise bug-reports. - Fixed a huge amount of very minor issues. Left behind many more. - Note: A few strings will remain in english no matter what language is selected. This might be updated in a later release. - New version 1.7.3.31 has been released to this page. - Updated to support H-series. Thanks to sectroyer for developing TV-side decoder-module. - Added a progressbar to the statusbar to visualize lengthy operations. - Streamlined import of thumbs from TV. This now happens in the background. 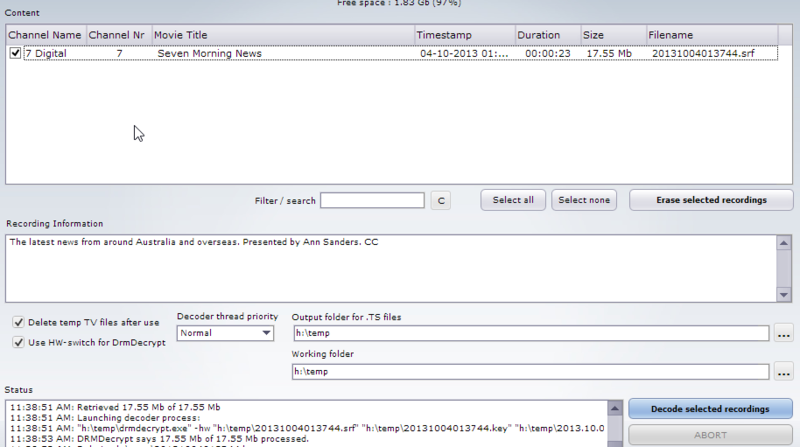 - Better use of caching now allows PVRDecoder to support TV?s with more than 1000 recordings. - Fixed a large amount of smaller issues. - Update for several strings in multiple languages. No functionality change. Still looking for translators to fix incomplete languages. - HOTFIX: Intended check of free space on output device did not work correctly. Fixed. No version change. - New version 1.5.3.4 has been released to this page. - Introducing offline decoder, allowing recordings to be decrypted directly from USB-device by connecting it to PC. - NOTICE: Offline decoder only supports FAT32 and NTFS, unless you install drivers for other formats. - General FTP access now use UTF-8 encoding. Renaming of files produced by libPVRtoTS.so now has much better support for international characters. - Mostly all requests made by users in this thread has been implemented. - HOTFIX: Under specific circumstances the GUI would disable the settings-button for no good reason. - Numerous other minor improvements. - New version 1.5.3.3 has been released to this page. - Now defaults to pure telnet communication, to support newest generation of SamyGO. - (may in very rare cases force you to upgrade old SamyGO installation, to continue usage of the PVRDecoder). - New version 1.5.3.1 has been released to this page. - Overall improved stability. Should even recover from a TV power-cycle *during* transfer (not guaranteed). - Now sizeable to support more screen resolutions. - Cool status bar with pointless information, so you have a nice spot to grab and resize form. - Will generate report of TV?s internal state for support use on this forum. - Now comes with a few skins selectable by user. - Italian language has been added, although slightly incomplete. You may see English words here and there. - USB-information is now shown on a floating panel. Allows a much narrower top button bar. - New version 1.4.0.2 has been released to this page. - Hotfixing TV-scanner. 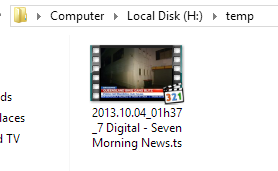 Was looking for information in wrong folder. - Fixed a few spelling errors and bad language. - New version 1.4.0.1 has been released to this page. - International support for English, French, German and Danish. - Numerous improvements, and bugfixes. - New version 1.3.0.12 with a lot of new features has been released to this page. - Filemask libray and enhanced editor. - Automatic shutdown of TV and PC on finish of lenghty jobs. Feedback to this thread is appriciated - both good and bad ! DISABLE AUTOMATIC FIRMWARE UPDATES, - AND DO NOT INSTALL ANY UPGRADE MANUALLY. I provide NO assistance by PM, unless absolutely necessary. Please ask questions in dedicated topics. I saw a lot of posts regarding the SamyGO PVRDecoder (which can be found here) and decided to write a guide for those who might be having problems. Big shout out to LordByte for such an amazing tool. NOTE - If you are using the E series guide and method A (the Skype method), make sure to run Skype once after you install it before continuing on with the rest of the steps. After you've rooted your TV, have your USB device (note that it must be 2GB or larger for the TV to accept it for recording/timeshifting) plugged into the TV (not the PC) with one or more recordings and start samyGOPVRDecoder.exe. 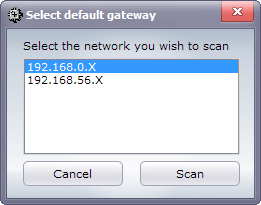 Now, click on Settings and enter the IP address of your TV. 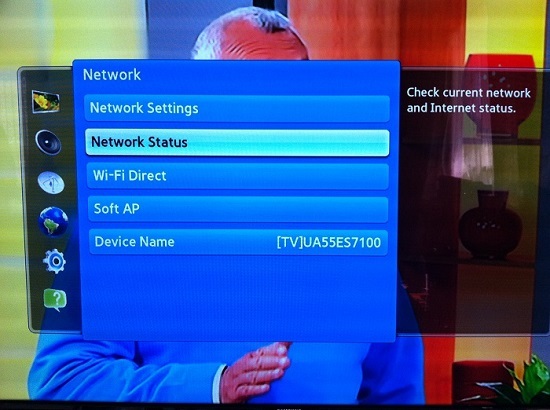 You can find this by going onto Menu > Network Settings > Network Status using your remote control. Afterwards, click OK and then it should successfully detect your TV and the recordings. If you get the "Unable to connect FTP-server in TV. Please scan for USB-devices again." message, please refer to the Troubleshooting section below. Have the paths for the TS files prepared, I changed mine to my H: drive because my C: drive is an SSD with limited space. Now simply tick your desired recordings and click on Decode selected recordings and let SamyGO PVRDecoder do all the magic. SamyGO PVRDecoder says "Unable to connect FTP-server in TV. Please scan for USB-devices again". What's wrong? 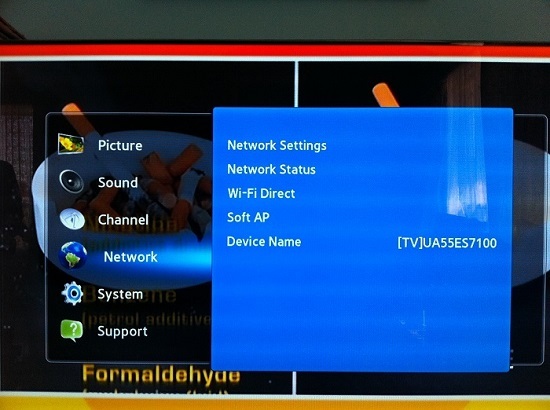 Make sure your TV has been rooted correctly. If you are using the Skype widget method, make sure you've actually run Skype once immediately after installing it (I made the mistake of not doing this the first time round which made it not work). To remove the SamyGO widget so you can try again, select the widget in the Smart Hub and press Tools > Delete on your remote. Afterwards, retry the root method. I personally haven't tried the developer account method so I cannot comment on that. Your firewall or antivirus is blocking SamyGO PVRDecoder. 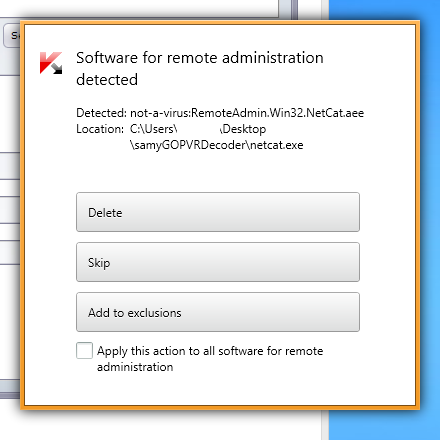 Ensure that you've added an exclusion or firewall rule to allow samyGOPVRDecoder.exe and netcat.exe. Refer to your anti-virus/firewall documentation to add it to the exclusions. Your TV hasn't established a connection to your router. 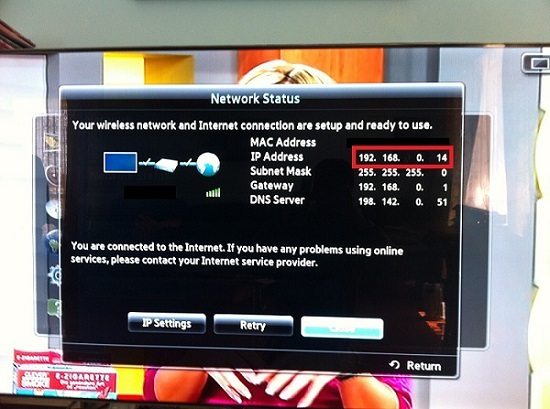 When you start your TV, it doesn't immediately connect to your router until you access the Internet or Smart Hub. To do so, simply launch the Smart Hub and you should be able to connect by clicking on Scan for USB Devices. When entering an IP address, make sure to use your TV's internal IP (this can be found using the method described in the Main section of this guide). Also, do not use the port checking tool, it checks your PC for open ports, not your TV. Confirm it's working by trying SamyGO PVRDecoder. SamyGO PVRDecoder says "I am sorry, this tool cannot run from a path containing a [SPACE]...."
but i got all the files on my pc , is it possible to decrypt the files that way to with this tool? xkoeckiiej wrote: NICE THANKS ! I see only one way .. You must copy BACK the files to the TV at the exact location you got them. THEN you will be able to "ask" TV to calculate the needed key using the tool ... TV cannot calculate key from a file it cannot "see". And even that may not really help you, if TV refuses to "discover" the "new" files .. They probally need to be registered in the TV?s "database-journal". Re: [PC] SamyGO PVRDecoder for E/F series - UPDATED! when scanning the TV, it stays about 1 minute hang at the IP of the TV and then the scanner it all through to 255 ips. 14:30:49: Scanning for TV .. Please wait. from time to time is always a window with a connection closed gracefully. I have a UE55es7080. rootet with samygo-e. ftp and telnet will connect properly. Hi everybody, but after i rooted the tv (that i have no idea how to root) i just have to register something on the tv and then same procedures as Destroy? Thank you. juuso wrote: zela, what OS, xp? kaspersky is turned off and the service from the windows firewall is turned off.